Obviously, Alice Roosevelt didn’t mind breaking a rule or two. In fact, she rather reveled in shattering every rule she ever encountered! Rather than calling cards or lace fans, Alice was renowned for carrying in her silk purse a little garter snake named Emily Spinach. (She named her pet Emily for an aunt, Spinach for the snake’s green color.) Sometimes Alice let the snake slither free during state dinners at the White House, which certainly caused a ruckus! Alice sometimes received a dressing down from her parents for her lack of manners and decorum, including when she refused to remove her gloves to eat asparagus at dinner parties and also after she hunted down serving trays to help her younger siblings slide down the stairs of the White House. In a time when Edwardian young ladies were expected to be mild-mannered and well-behaved, Alice enjoyed gum-chewing, ragtime dancing, and gambling, so much so that Theodore Roosevelt had to ask the media to suppress photographs of her placing bets with bookies. As a young woman, Alice revolted against the unspoken rule that women shouldn’t drive cars. Instead, she landed in the papers for her speeding alongside socialite Lila Paul and later purchased her own roadster, much to her father’s chagrin. Alice refused to play the Washington D.C. game of calling cards, (which was ridiculously complicated with secret codes that involved folding down certain calling card corners when delivering them before social call), instead claiming that anyone who cared to visit could come to her. And they did! Hosting her massive wedding at the White House, Alice complained of the weight of her headpiece and veil. However, after the ceremony, she recovered her usual verve in time for the cake cutting—and wound up borrowing a sabre from a military aide to cut the cake! Once married, Alice split her time between New York, Washington D.C. and Cincinnati. Due to her mother-in-law’s cantankerous presence, Alice loathed Cincinnati, calling it “Cinci-nasty.” However, she did appreciate that that city’s zoo named a baby elephant after her! Alice didn’t get along with First Lady Nellie Taft, so when Theodore Roosevelt left office in January 1909, Alice planted a voodoo doll of Nellie in one of the White House gardens. Nellie never seemed to suffer from the voodoo, but the day of Taft’s inauguration did see a terrible winter storm hit DC! During World War II, Alice feuded with her famous cousins, FDR and Eleanor. Angered at Eleanor’s sabotage of Alice’s brother’s political career and shocked at FDR’s unprecedented fourth term in office, Alice called him a despot and compared him to Hitler. If ever there was a woman before her time, it was Alice Roosevelt, who with her caustic wit and devil-may-care attitude managed to shatter so many of society’s rules. I absolutely loved writing about her and I hope you enjoy reading her story! Alice may be the president’s daughter, but she’s nobody’s darling. As bold as her signature color Alice Blue, the gum-chewing, cigarette- smoking, poker-playing First Daughter discovers that the only way for a woman to stand out in Washington is to make waves–oceans of them. With the canny sophistication of the savviest politician on the Hill, Alice uses her celebrity to her advantage, testing the limits of her power and the seductive thrill of political entanglements. 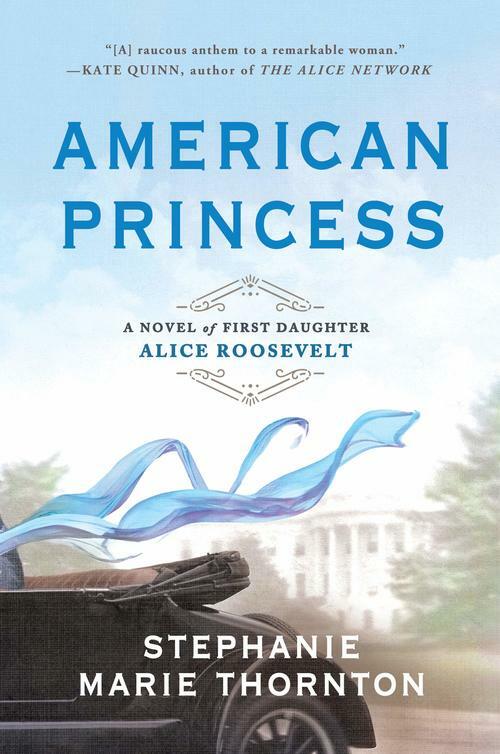 A must-read book about the president’s daughter, Alice Roosevelt! Stephanie Thornton is a writer and high school history teacher who has been obsessed with infamous women from history since she was twelve. Her first two novels, The Secret History: A Novel of Empress Theodora and Daughter of the Gods: A Novel of Ancient Egypt reimagine the lives of two of history’s forgotten women: Theodora of the Byzantine Empire and Pharaoh Hatshepsut. Her third and fourth books center around the women who stood behind the greatest conquerors the world has ever seen. The Tiger Queens is the story of Genghis Khan’s wife and daughters, while The Conqueror’s Wife tells of the women who both loved and hated Alexander the Great. 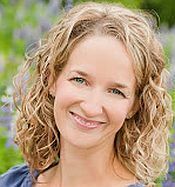 With her love of the ancient world, she also joined the H Team to help pen a collaborative novel, Song of War: A Novel of Troy in which put a new spin on the story of Cassandra, King Priam’s cursed seer of a daughter. She lives with her husband and daughter in Alaska.